If you would like to enroll in a UCI course and are currently not a UCI student, please follow the steps below to submit a request to register in a Bren School of ICS course. Paper submissions will no longer be accepted. Use the following link to request an ICS course. (link will be active until Thursday, April 11th, at 4 pm). Please be sure to fill out a survey for each ICS course you are requesting. Do NOT request a course that is currently full or on waitlist as you will not be accepted into the course. Deadline to submit request will be Thursday, April 11th, 2019, at 4 pm for the Spring 2019 quarter. Please check your email daily for any updates regarding your status. You will most likely receive a notification of acceptance or denial starting Monday of Week 2. Please do not email us regarding your status, we will email you. If approved, you will have 3 days to come pick up your form and take it to the the Division of Continuing Education. If you do not pick up your form in 3 days, it will expire. 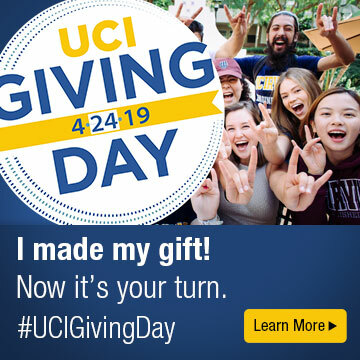 You may only apply for concurrent enrollment for an ICS course if the community college campus in attendance does not have an articulated course to UCI. If the course is not articulated, you may submit a form (obtained from your communtiy college) to the ICS Student Affairs office located in the ICS Building Suite 352. The Donald Bren School of ICS enforces a strict Friday of Week 2 deadline to add, drop, or change the grade option of the course. Any requests to add, drop, or change the grade option for a course past the Friday of Week 2 will not be granted. Obtaining the isntructors approval on the Concurrent Enrollment form does NOT mean that you will gain access to the course. The ICS Student Affairs Office has final approval as to who is allowed or is not allowed in their courses. Prerequisites for each ICS course are strictly enforced. If you no longer intend to enroll in a course, please inform us immediately via email (ucounsel@uci.edu) so that we may release the seat to another student in need. Please be sure to attend all requested courses and complete any assignments/ tests/ etc. Make arrangements with your instructor to ensure that you can access and submit any course material in a timely manner.